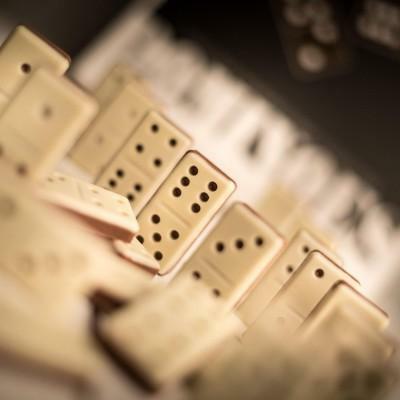 The history of Chocolissimo is a persistent travel driven by the exploration of centuries of chocolate production tradition, experimentation with taste and combination of various ingredients. 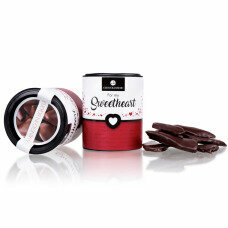 Sweet chocolate for those willing to show love and affection. 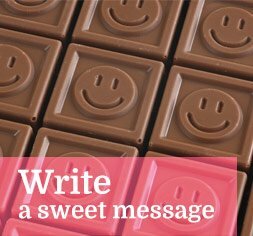 Expand your feelings with a taste and shape of our premium chocolates. 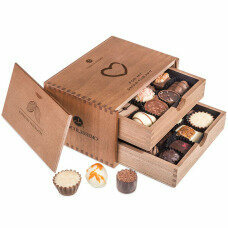 An exclusive wooden box made of African wood with engraved heart on top contains 10 delicious handmade pralines. Very elegant gift for Valentine's day for beloved one. 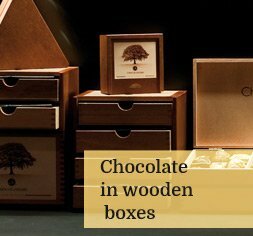 An exclusive and elegant box crafted from African wood with a flower inspired lid, filled with 20 delicious hand-made pralines. 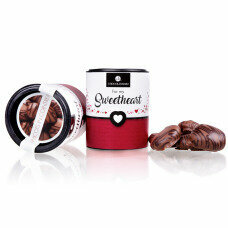 Both shelves contain 10 pralines each with a mix of different flavours. 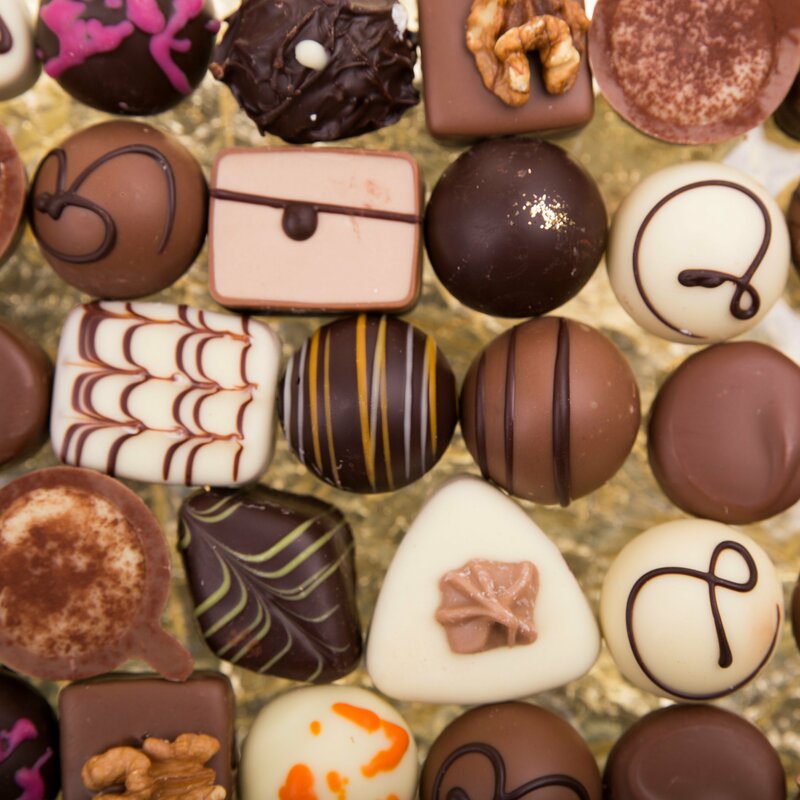 The highest quality pralines are selected and prepared by known chocolatiers. 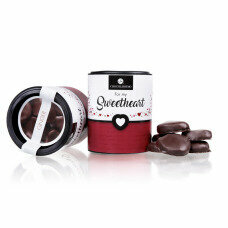 An elegant sweet gift for a loved one. 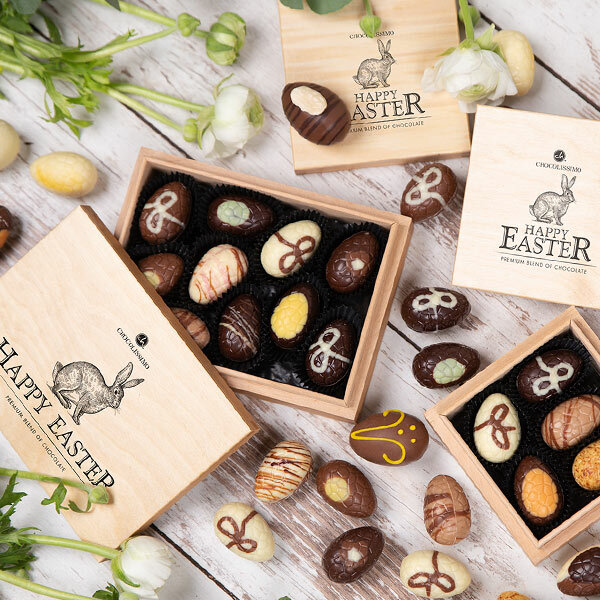 In a well packaged wooden box, with a romantic touch on the lid, hidden inside are 20 handmade pralines made of milk, dessert and white chocolate with delicious fillings. 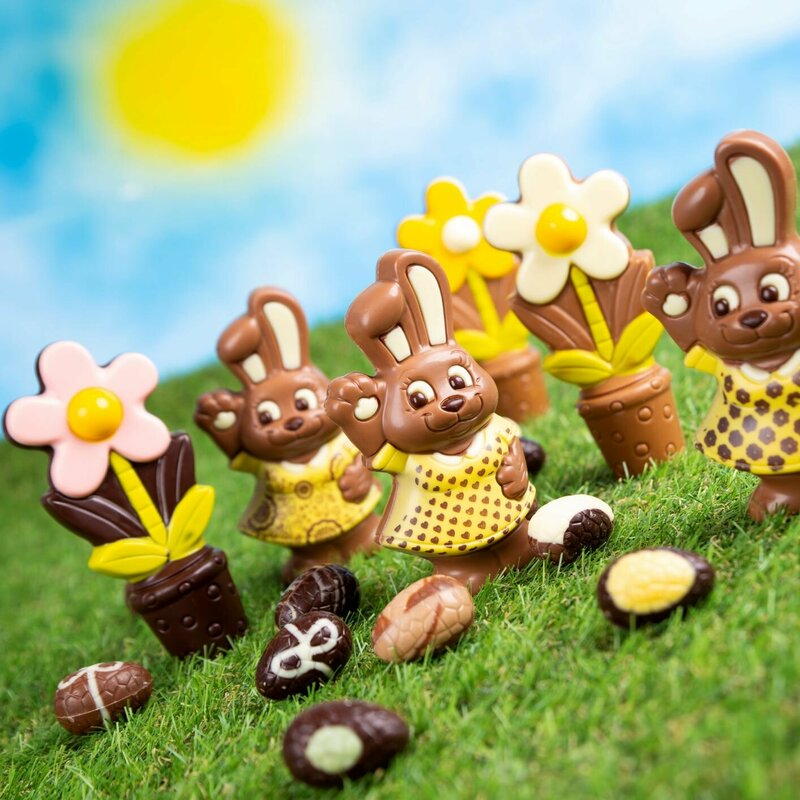 Chocolates were prepared in well-known European manufactures with the use of natural ingredients, guaranteeing an unforgettable tasty experience. An excellent gift for a special someone! 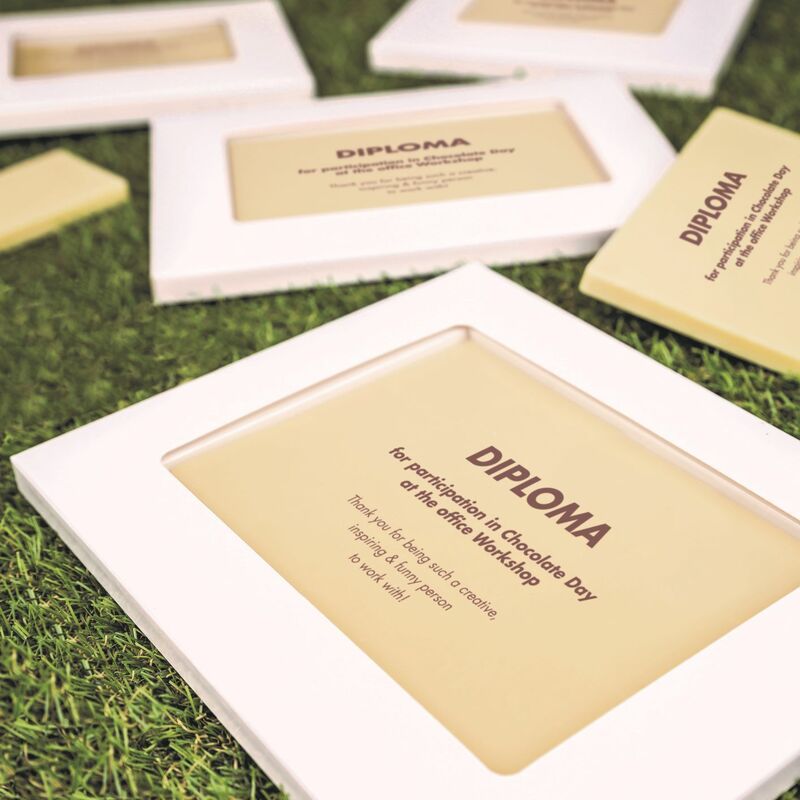 Make it more unique with a personalized engraving on top of the box! 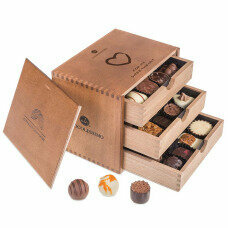 An exclusive wooden box made of African wood with a romantic touch contains 30 delicious handmade pralines. 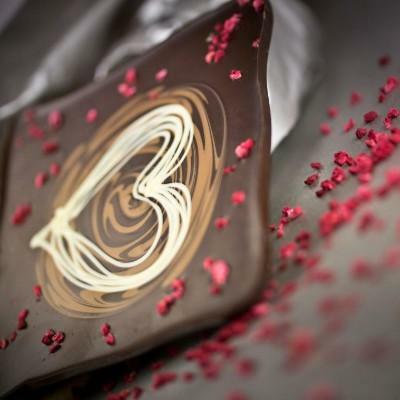 The pralines are split between 3 shelves of 10 pieces that will definitely give your loved one a sensation on the tongue that will be unforgettable. The box itself is stunning enough as it contains a heart shape and "For My Sweetheart" written on top as well as the opportunity to personalize the lid in front with a custom note you choose to engrave. 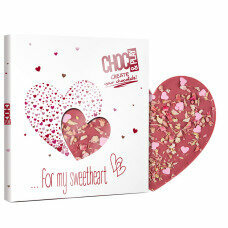 Chocolate heart with pieces of strawberries let you express what cannot be said in words. The taste of our unusual composition probably will always remind you of amorous warmth. Heart is packed in a decorative box. 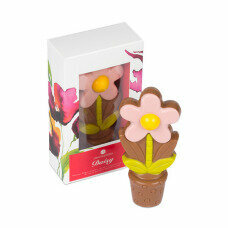 Beautiful and tasty pink chocolate flower made of best quality belgian chocolate. 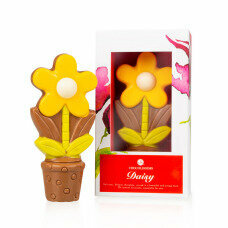 Pink daisy flower made of tasty belgian chocolate. 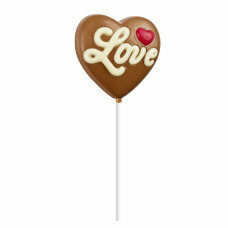 Sweet, chocolate lollipop is a nice addition to celebrate Valentine's. Heart shape and inscription Love will certainly put in a good mood every recipient. 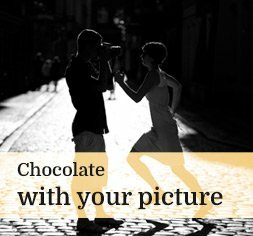 The taste of Belgian chocolate will remain in the memory for a long time. 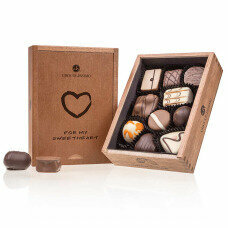 Artistic combination of three types of fine Belgian chocolate of the highest quality - white, milk and dark. 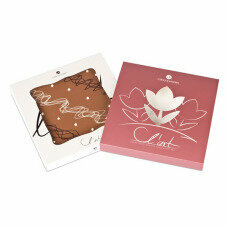 Packaged in a rose package with a transparent window in the shape of a tulip will be an ideal gift for Valentines. 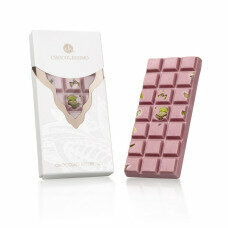 A velvet milk-chocolate bar, decorated with white chocolate and dried currants. Packed in a red window box. Strawberries covered in delicious Belgian milk chocolate with white chocolate decorative lines. A perfect gift to share with a loved one during a romantic occasion, a Valentines day gift idea for those searching for a loving response. Macadamia covered in delicious Belgian milk chocolate with white chocolate decorative lines. A perfect gift to share with a loved one during a romantic occasion, a Valentines day gift idea for those searching for a loving response. Ginger covered in delicious Belgian milk chocolate with white chocolate decorative lines. A perfect gift to share with a loved one during a romantic occasion, a Valentines day gift idea for those searching for a loving response. Apricots covered in delicious Belgian milk chocolate with white chocolate decorative lines. A perfect gift to share with a loved one during a romantic occasion, a Valentines day gift idea for those searching for a loving response. 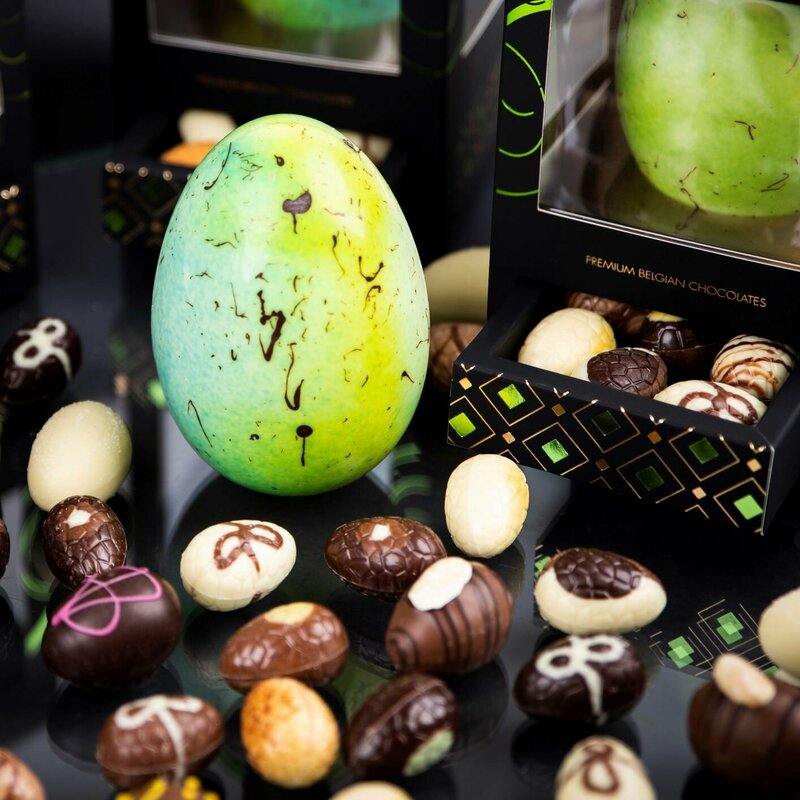 Mango in liqueur covered in delicious Belgian milk chocolate with white chocolate decorative lines. A perfect gift to share with a loved one during a romantic occasion, a Valentines day gift idea for those searching for a loving response. 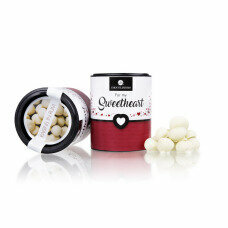 Raisins drenched in rum covered with delicious Belgian milk chocolate with white chocolate decorative lines. A perfect gift to share with a loved one during a romantic occasion, a Valentines day gift idea for those searching for a loving response. Phenomenal pink chocolate - Ruby, with a unique, slightly sweet, and at the same time a slight sour taste. Presented with unique toppings, in this bar, gold flakes and packed in a stylish box. It is a perfect gift for those who are looking for new taste sensations. No colorants or fruit flavors are added. 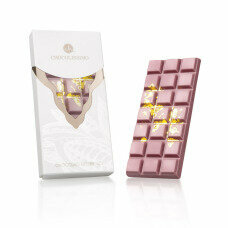 Phenomenal pink chocolate - Ruby, with a unique, slightly sweet, and at the same time a slight sour taste. Presented with unique toppings, in this case, raspberry. It is presented in a elegant sleek box. 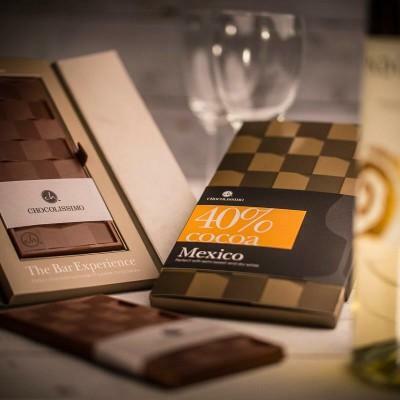 A perfect gift for those who are looking for new taste sensations. No colorants or fruit flavors are added.